Could it be that the Moon is artificial? Could it even be hollow? A seeming impossibility for a natural planetary object. Extraordinary claims indeed. But keep an open mind and read the compelling arguments based on scientific evidence and irrefutable logic – arguments that will completely change the way we think of our world. Why does the Moon have little or no heavy metals, and no core? Why do many specialists suspect that the Moon is hollow when that should not be possible? And why did the Apollo lunar teams at NASA report on several occasions that the Moon rings like a bell when struck? Why is it that the Moon revolves at exactly one hundredth of the speed that the Earth turns on its axis? And why is the Moon exactly 400 times smaller than the Sun and precisely 400 times closer to the Earth? Why do we find a consistent and beautiful sequence of integer numbers when looking at every major aspect of the Moon, whereas no pattern emerges for any other planet or moon in the solar system? And why does an ancient system of geometry and measurement used in the Stone Age work perfectly on the Moon? 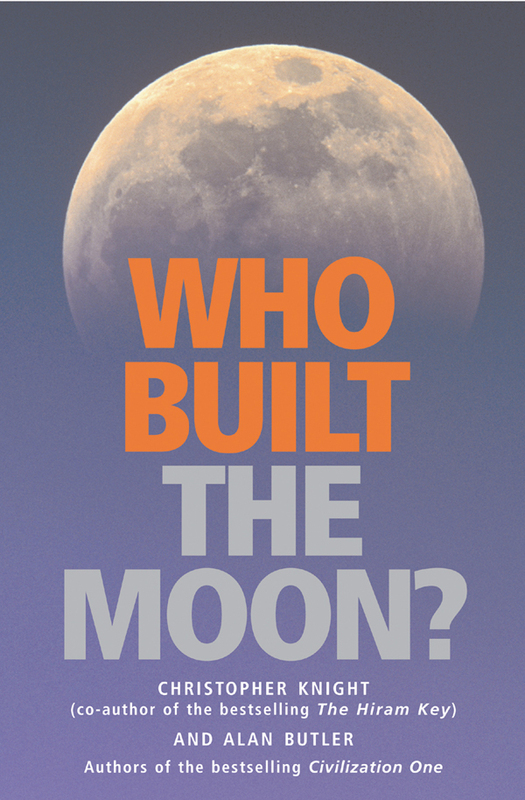 Does the Moon really exist through some happy accident of collision in a random game of space skittles, or is a blueprint apparent – and if so, who was the architect? The conclusions are astounding! Christopher Knight has co-authored four books with Robert Lomas. His first book, The Hiram Key, became an international bestseller, selling a million copies worldwide. Alan Butler is fascinated by history, and an expert in astrology and astronomy. He has published several successful books, and is a playwright and radio dramatist.